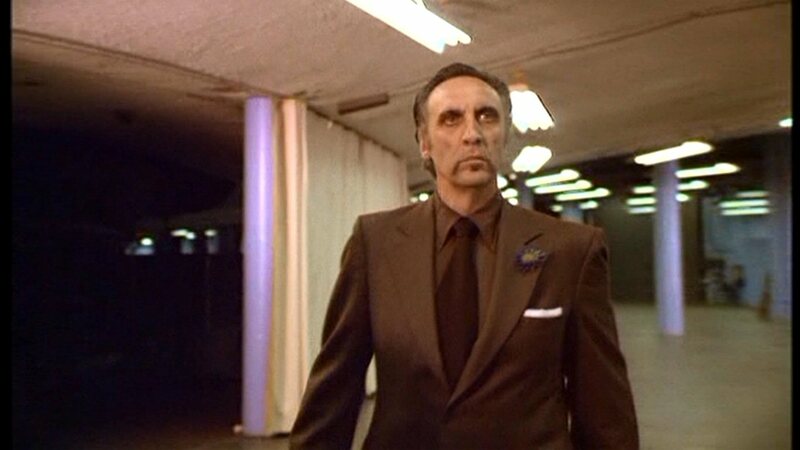 Today we learned of the passing last Sunday of Sir Christopher Lee. The legendary horror icon was 93. He and Timothy never made any films together, unfortunately. 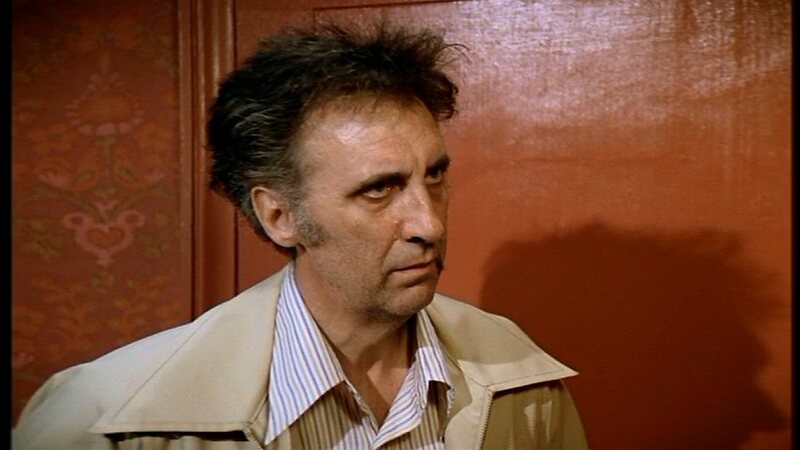 But there was a period in the mid-1970s where, if you caught him just right, Tim looked an awful lot like Lee. Today is a very sad day. 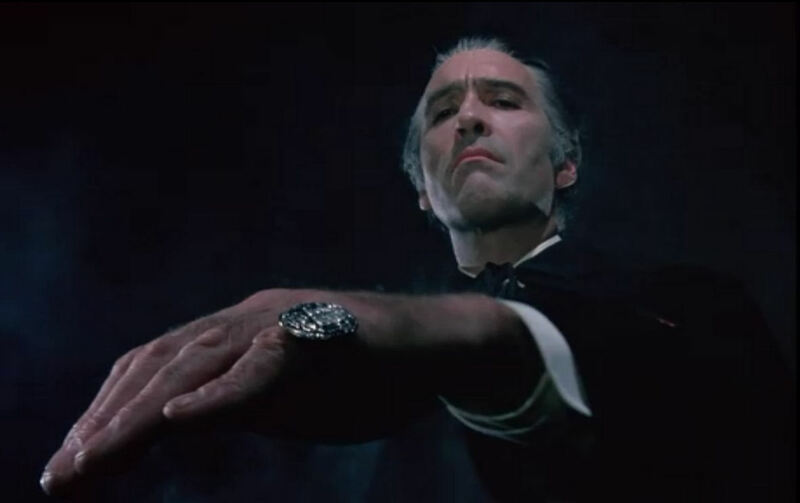 There will never be another quite like Christopher Lee. We here at the TCE wish him peaceful rest. 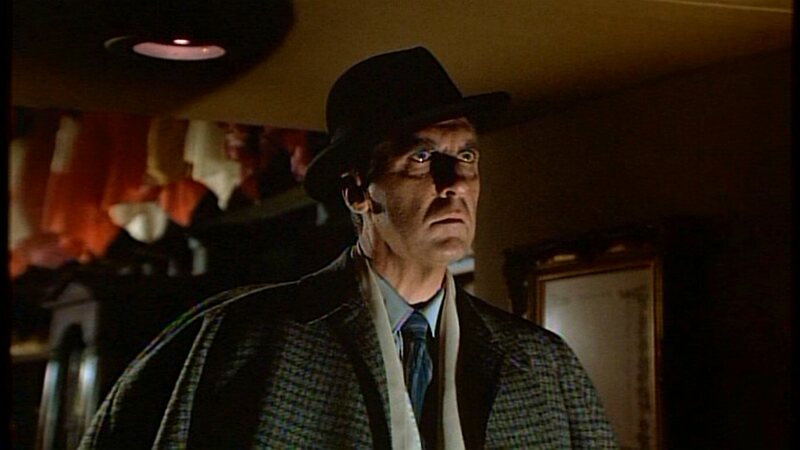 Today our pic revisits the second of the two Charlie’s Angels episodes in which Timothy appears. It’s “Angels on Ice,” first broadcast on September 21, 1977. Tim’s vaguely Russian gang leader moonlights as a security guard. It’s all part of the gang’s diabolical plan to commit mayhem at an ice show. I would find nothing suspicious about a security guard who looked like that. Nope. Nothing at all. Finishing up the work week is another look at “The Blue Angels,” the episode of Charlie’s Angels that first aired on May 4, 1977. 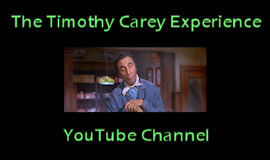 Timothy is about to get shot by Ed Lauter in the first few minutes of the episode. I have no idea what happens after that. With no Tim, I just lost interest. I really should give this episode another chance, given that it was directed by the great Georg Stanford Brown. Known mostly for his fine acting, he’s also an accomplished director of series television and made-for-TV movies. He’s even voiced a video game character or two. Tim would have been a great voice-over artist, I think. Today we look again at the Charlie’s Angels episode “Angels on Ice”. It was first aired on September 21, 1977. Timothy displays his stellar profile as he and Lee Delano work on their evil plan to assassinate world leaders during an Ice Capades-style show. 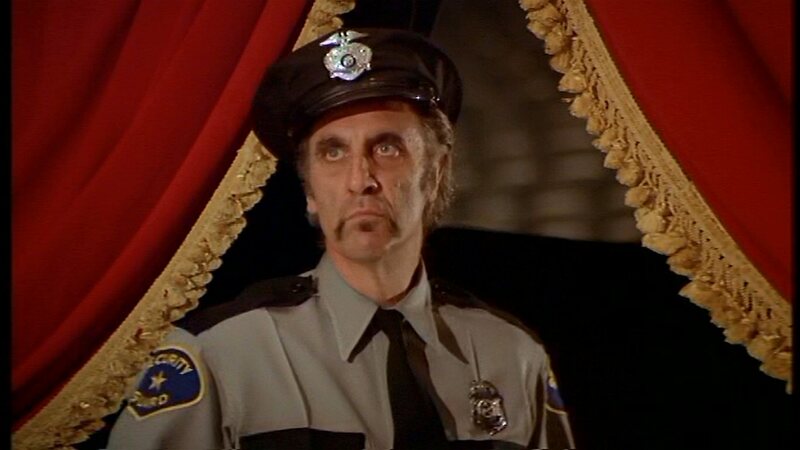 At the helm for this episode was Robert (Bob) Kelljan, who began his career as a character actor in such 1960s drive-in classics as Hells Angels on Wheels (1967) and Psych-Out (1968). He soon moved behind the camera, blessing us all with Count Yorga, Vampire (1970), The Return of Count Yorga (1971) and Scream Blacula Scream (1973) (I’m not being snarky, I’m completely serious – I truly love these films!). Series television provided steady work, and he was busy directing right up until his tragic death from cancer at age 52. 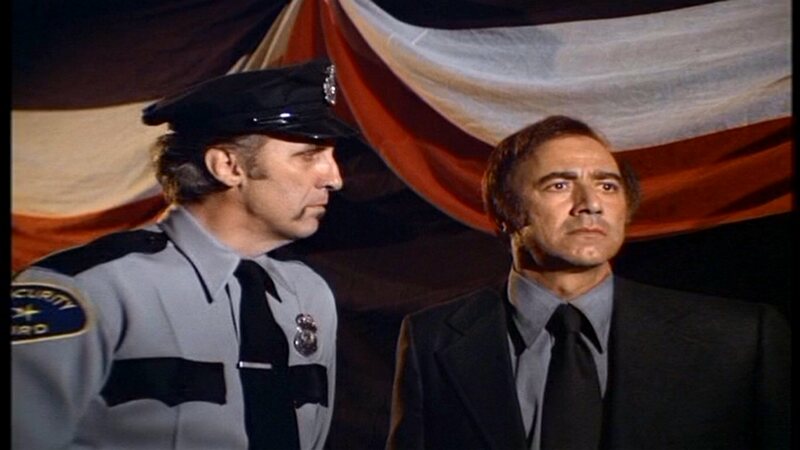 Today’s pic is another of Timothy’s fleeting appearance in “The Blue Angels,” the episode of Charlie’s Angels that first aired on May 4, 1977. He appears at the beginning of the episode, has a brief exchange with the late great Ed Lauter, gets shot by him, and dies. Don’t ask me what happens after that; I lost interest. Directing this episode was the great Georg Stanford Brown, seasoned veteran of films and television since the 1960s and still active today. He has nearly as many directing credits as acting credits, and is equally skilled at both. Thank God it’s Friday! We close the work week with another look at the Charlie’s Angels episode “Angels on Ice,” first gliding into homes across America on September 21, 1977. 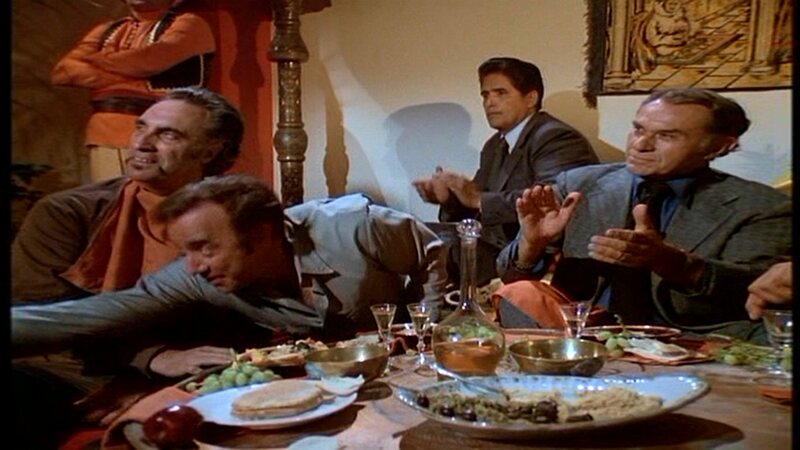 Timothy and his fellow gang members, including Lee Delano (leaning across Tim), are enjoying a communal meal and an awkward belly dance by Kelly (Jaclyn Smith) at a Middle Eastern restaurant.